Our clients can avail from us highly effective Micronized Talc. This white moisture less chemical is processed from magnesium - silicate – hydrate. Our range is widely used as reinforcing filler agent in plastic industry. Also, it is extensively used in cosmetic industry. Owing to our years of industry experience and precise knowledge of this domain, we are offering an outstanding assortment of Talc Powder. We have carved a niche amongst the most dominant names in this domain, engaged in offering Florence Talcum Powder. This Florence Talcum Powder has exotic flowery fragrance with the perfect blend of delicate lily, sensual wisteria, soothing magnolia, woody champak and many more rejuvenates your body and mind for all day long. 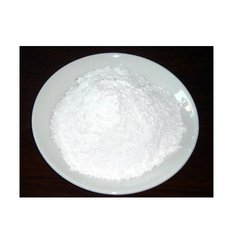 We are offering Low Calcium Talc for Ceramic use. Fostered with rich industry experience and a highly experienced team of skilled professionals, we are offering Talc Minerals that are used in agrochemicals, paints, sugar, textiles and home cleaning. The offered minerals are processed using premium quality chemical compounds and modern technology in line with industry norms.